It is the hard work and dedication of our entire staff that makes our dealership a relaxed and welcoming place for customers to browse our Mercedes-Benz, Mercedes-AMG®, Mercedes-Maybach, Commercial Vans and Airstream models. 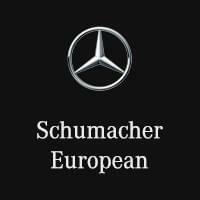 Schumacher European is a New & Pre-Owned Mercedes-Benz, and Sprinter Commercial Van Dealership. Schumacher European is proud to serve Phoenix and the Scottsdale and surrounding areas with luxury new and used Mercedes-Benz. Visit us at 18530 North Scottsdale Rd to see our large inventory of new and used Mercedes-Benz cars and take one for a test drive. If you’re looking for a used Mercedes-Benz in Phoenix, we can assist you there as well. Visit our Used Inventory page to see our collection of used vehicles, including the Mercedes-Benz C-Class, E-Class, S-Class, G-Class and GLC. Schumacher European is not just your Mercedes-Benz dealership, we also provide a full line of auto services dedicated to our greater Phoenix area customers. From Mercedes-Benz and Sprinter repair performed by expert mechanics, to OEM Mercedes-Benz parts, to Phoenix car loans and leases, Schumacher European is the smart choice for your automotive needs.